Masumi is back in Japan after her European adventures and showcasing her two passions - singing and English education! 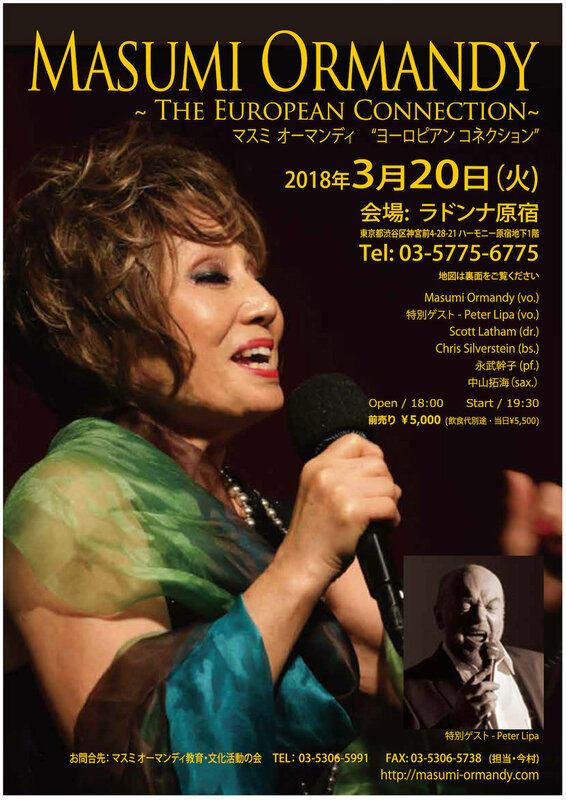 Masumi's global adventure continues - this time the destination is Slovakia, where she will be performing together with the Peter Lipa band at the BlueNote club. Debut CD - SEPTEMBER 16th 2016 "Sunshine in Manhattan"
Friday, 17th June 2016 announced! Sunday, 28th February 2016 announced! ※For more information, click the banner.